Artículo ​​# 307736 Puntos Stash: 5495 (?) This is the number of points you get in The Zumiez Stash for purchasing this item. Stash points are redeemable for exclusive rewards only available to Zumiez Stash members. To redeem your points check out the rewards catalog on thestash.zumiez.com. 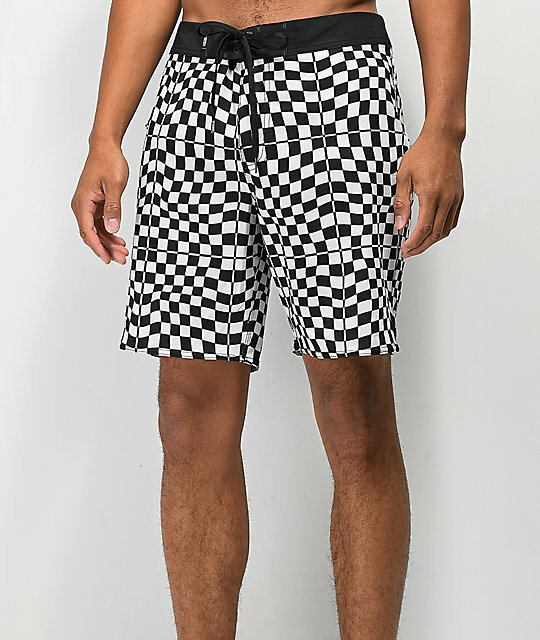 From the waves to the streets, the Mixed Checkerboard black and white boardshorts from Vans offer a classic style that look great in and out of the water. These quick-drying, four way stretch boardshorts offer an original fit with a tie front closure. They comes with a black and white checkerboard pattern throughout and are detailed with woven Vans logo patches for subtle styling. 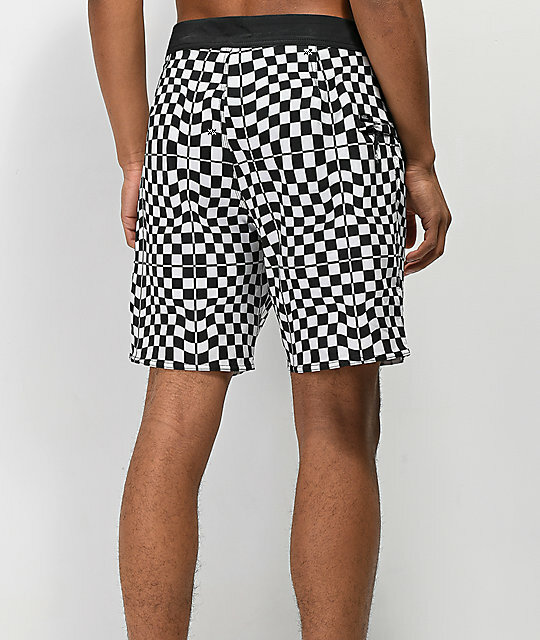 Mixed Checkerboard 18" Black & White Boardshorts from Vans. Black and white checkerboard pattern throughout. Tie up closure for a secure fit. Hook and loop closed fly. Right side seam zip pocket with a mesh lining and a bungee loop for keys. Regular fit with a tie closure.